Try a printable science activity that focuses on the importance of light. 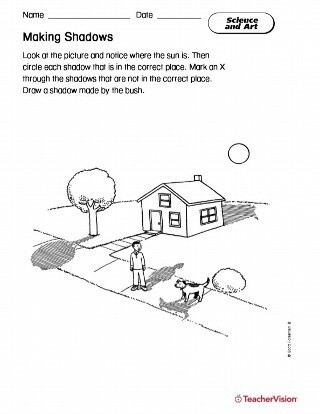 Try a printable science activity that focuses on understanding shadows. Try a printable science activity that focuses on identifying light sources. Try a printable science activity that focuses on shadows. Try a printable science activity that focuses on light transmission at night. Students infer what their partner has used to make a shadow on the wall. Students build a light-blocking art project.